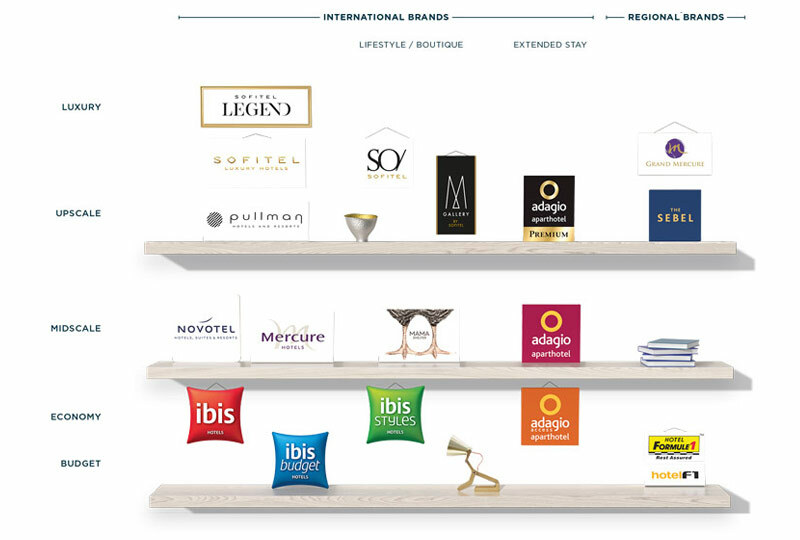 AccorHotels offers the largest brand portfolio in the hotel industry, ranging from the most affordable to the most luxurious. Our brands are international, standardised or non-standardised, regional and adapted to local markets. Completing the choice are our lifestyle and boutique hotels, as well as apartment hotels for extended stays. AccorHotels provides access to competitive and relevant loyalty programs. There are a number of programs with a variety of levels to suit all travellers. At AccorHotels we provide you with access to many facets of the business to ensure your business succeeds. We have dedicated teams working on key areas and our AccorHotels Franchise team has direct access to them should you need it. For almost 45 years, AccorHotels has developed a unique know-how in boosting hotel performance. Benefit from the expertise and support of a major Group to meet your needs and get the best return on your investment. AccorHotels Franchise has a renown reputation and is spoken very highly about from those who are in the know. Compared to the competition, Accor provide a very strong franchise system, that no other operator in Australia could provide us. Accor’s internationally recognised brands allow us to promote our product and destination to markets that would be beyond our reach. Congratulations - The Sebel Pelican Waters Resort! The Experience of Loyalty Members is critical! It’s easy! For more infomation click the link below.